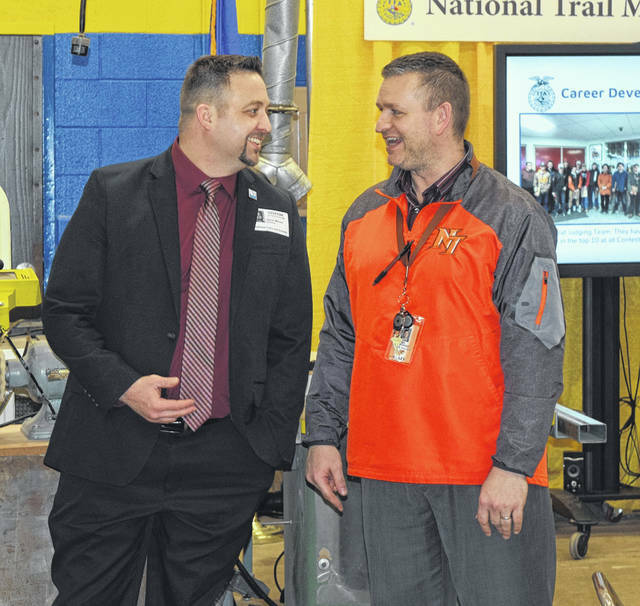 National Trail Miami Valley Career Technical Center (MVCTC) FFA Chapter held its third annual Legislative Luncheon on Friday, March 15. A freshmen-led committee invited local politicians to meet with them, eat lunch, and learn about the chapter. 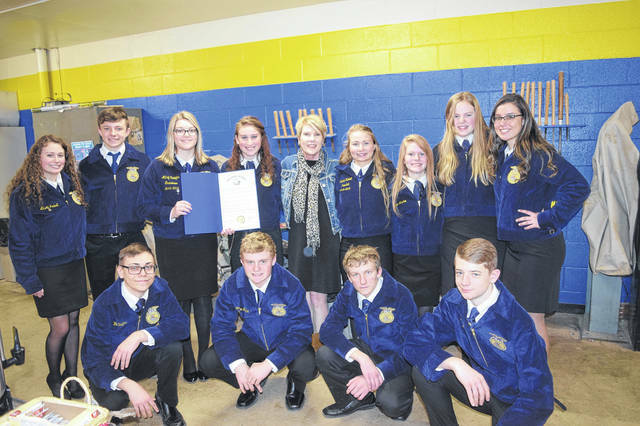 During the event, Director of Agriculture Dorothy Pelanda presented the chapter with a proclamation on behalf of Governor Mike DeWine and Lieutenant Governor Jon Husted for supporting Ohio’s number one industry, agriculture. 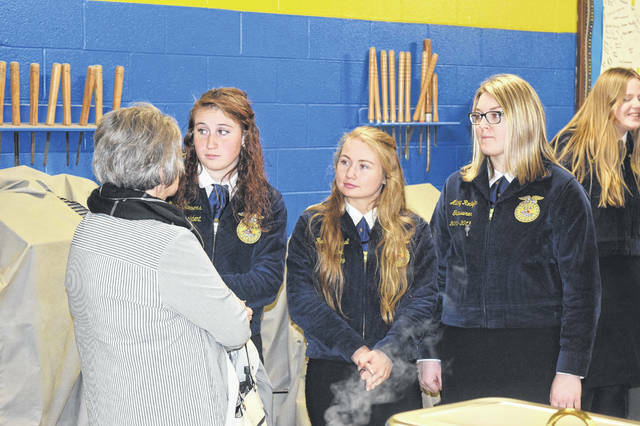 NEW PARIS — National Trail Miami Valley Career Technical Center (MVCTC) FFA Chapter held its third annual Legislative Luncheon on Friday, March 15. 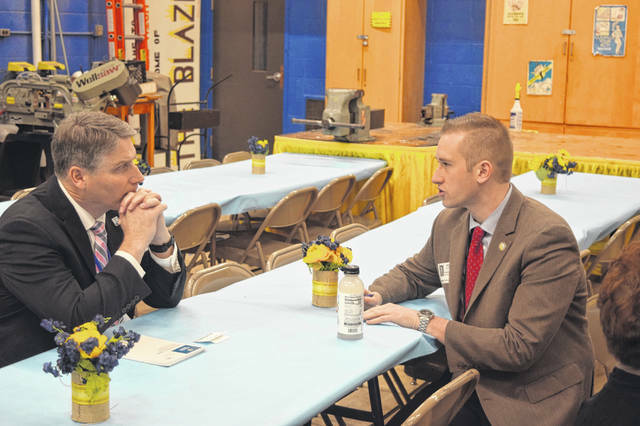 A freshmen-led committee invited local politicians to meet with them, eat lunch, and learn about the chapter. This gave the students an opportunity to learn important leadership skills and learn about different positions and policies in place. 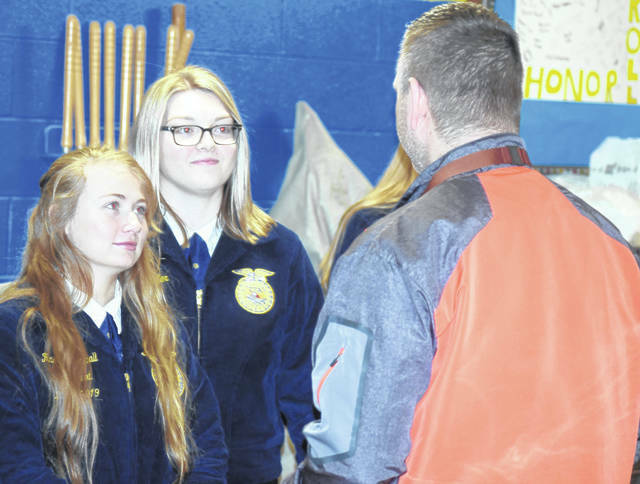 “This event is organized by our AFNR Orange Block One students — they’re freshmen students. 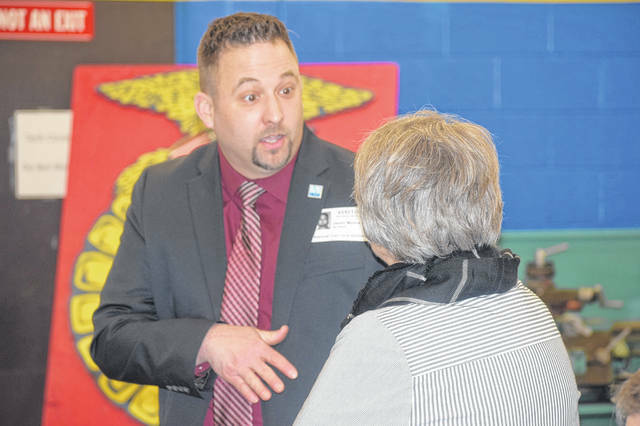 It is an opportunity for Columbus, Preble County, and Washington D.C. officials to meet with staff members, agriculturalists in our community, and the students to get multiple perspectives of either legislation, policies in place, and how they affect their lives,” Advisor Eric Kennel said. 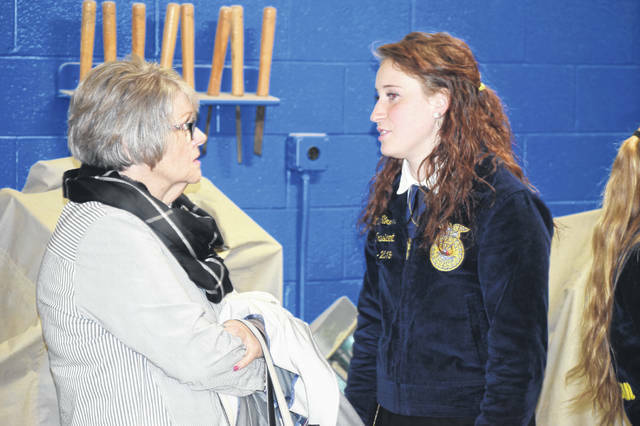 The event was planned by the Citizenship Committee, which is made up of freshmen students in the FFA chapter. According to Committee Chair Wes Taylor, they started planning this even the second day they had Kennel in class. “The legislative luncheon is basically this big lunch where we invite elected officials to come in and eat. They talk with each other about different issues and what our chapter has been doing. 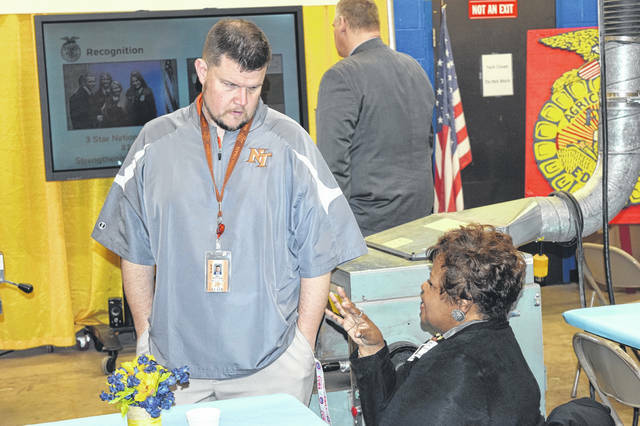 We have the teachers come down and talk with them too. They can discuss any policies in place and whatnot. 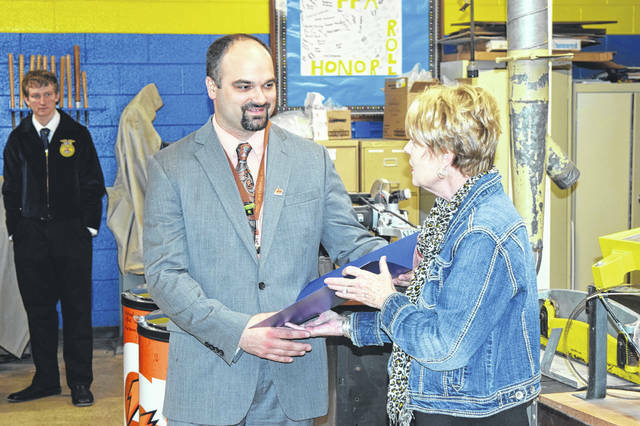 A big one is the State Tests — a bunch of people have a problem with those,” Taylor said. 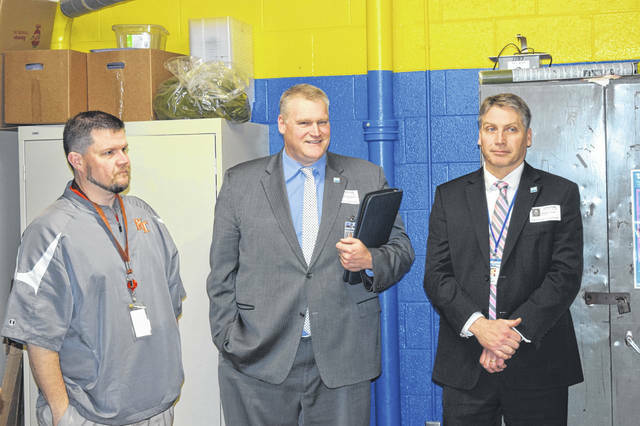 “This also benefits us as students a lot, because we learn from them and pick up skills from them, like public speaking,” Taylor said. “It helps our committee and everyone in it to learn better and it also gives our teachers an opportunity to discuss things with the people that are invited. It is not only the teachers and State School Board, but everyone. 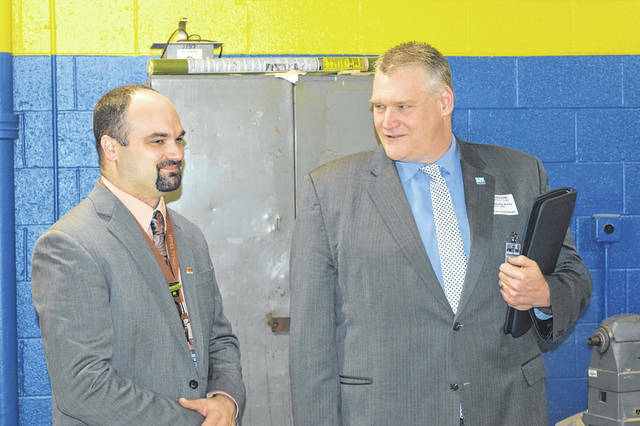 Like, we have the Preble County Engineer here with us today. 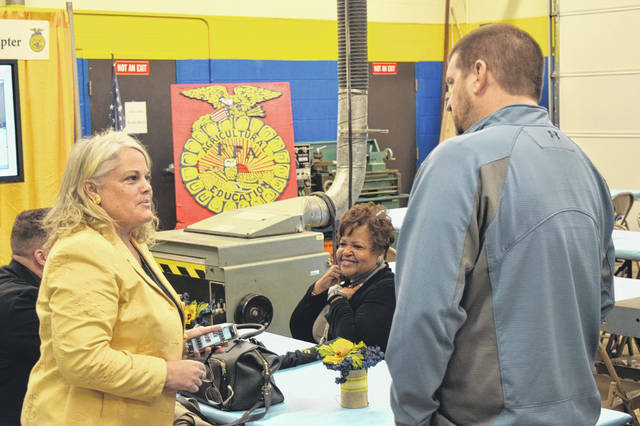 During the event, Director of Agriculture Dorothy Pelanda presented Advisor Kennel with a proclamation on behalf of Governor Mike DeWine and Lieutenant Governor Jon Husted for supporting Ohio’s number one industry, agriculture. 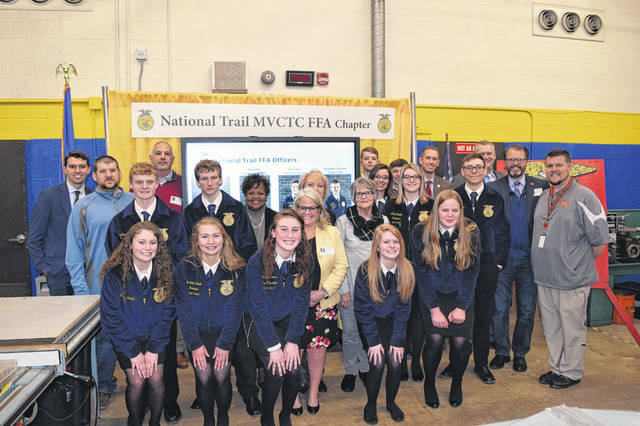 https://www.registerherald.com/wp-content/uploads/sites/41/2019/03/web1_NT12.jpgNational Trail Miami Valley Career Technical Center (MVCTC) FFA Chapter held its third annual Legislative Luncheon on Friday, March 15. 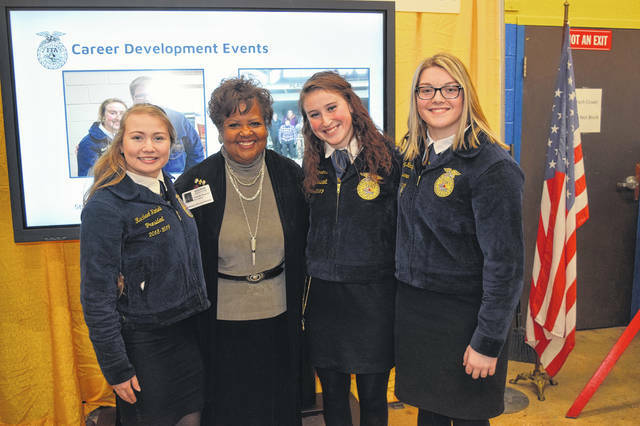 A freshmen-led committee invited local politicians to meet with them, eat lunch, and learn about the chapter. 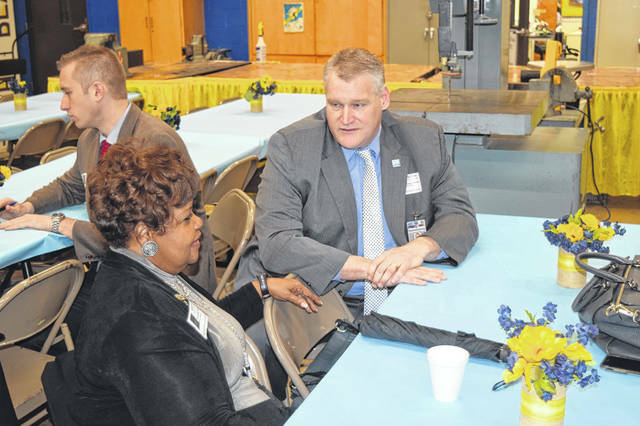 https://www.registerherald.com/wp-content/uploads/sites/41/2019/03/web1_NT15.jpgDuring the event, Director of Agriculture Dorothy Pelanda presented the chapter with a proclamation on behalf of Governor Mike DeWine and Lieutenant Governor Jon Husted for supporting Ohio’s number one industry, agriculture.